Brighten up any room with a plethora of custom colors and control it all from your smartphone by installing the Sylvania Lightify Smart Home 65 Watt BR30 White/Daylight/Color LED Light Bulb. 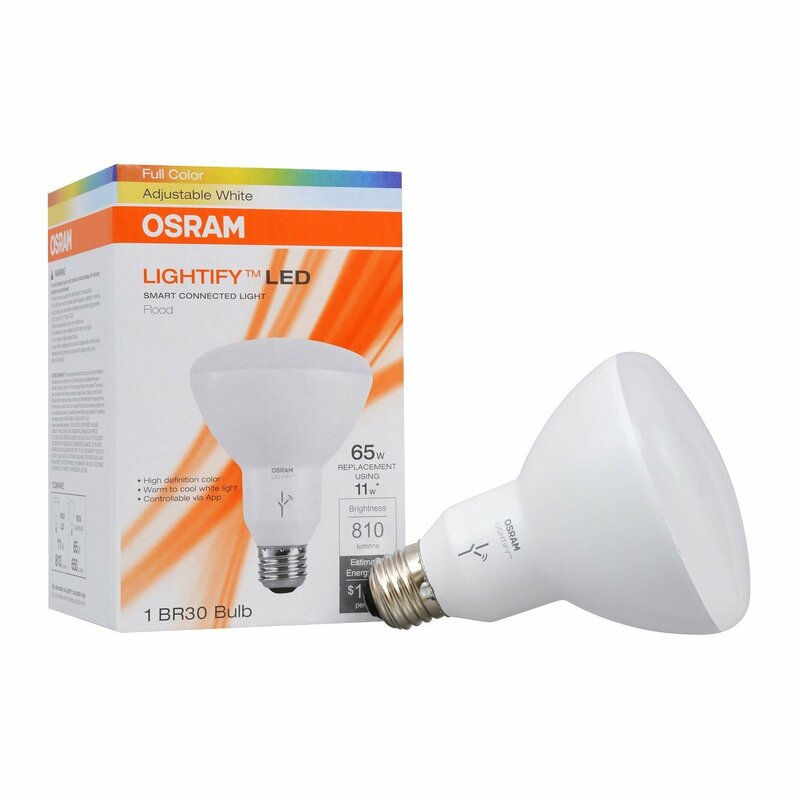 This package includes 2 light bulbs.This bulb is a standard BR30 and replaces 65 watt incandescent bulbs. It uses 84 percent less energy than traditional bulbs, producing 2700 6500K and lasting up to 20,000 hours each.This bulb is compatible with your existing smart home system ZigBee devices, Wink, SmartThings, and Alexa Echo. Choose the Sylvania Lightify Smart Home 65 Watt BR30 White/Daylight/Color LED Light Bulb for a brighter, smarter home.